Want to play Pong on your Oscilloscope? I always have! 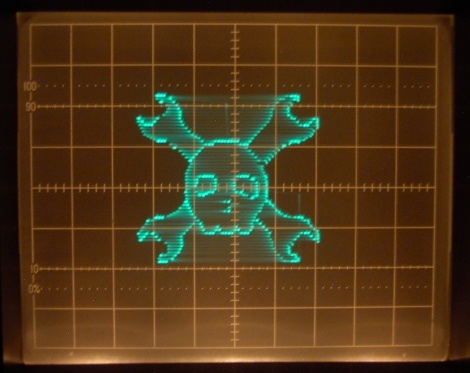 I don’t know why, but I like the idea of using an oscilloscope screen as a general use video display. Why not? In my case it sits on my desk full time, has a large screen area, can do multiple modes of display, and is very easy control. The software runs on an Attiny84 micro controller clocked at 16Mhz, paired up with a Microchip MCP42100 dual 100k 8 bit digital potentiometer though the Attiny’s USI (Universal Serial Interface) pins. This is a fast, stable and accurate arrangement, but it requires sending 16 bits every time you want to change the value of one of the potentiometers so its also very piggy. I was just out to have some fun and did not have a proper 8 bit DAC. 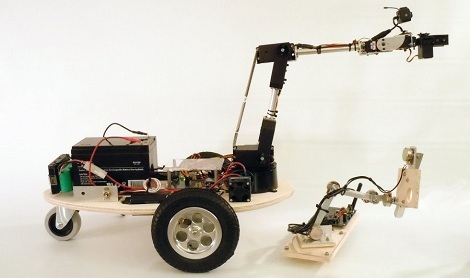 This was the closest thing outside of building one. Join us after the break for pictures a (very) brief video and more. Whenever we get a tip claiming a project is cheap and easy we raise a cynical eyebrow. But [Yonsje] isn’t telling us a story, his Amiblight clone really does boil down the complexity and slash the price. For the uninitiated, this is a clone of the Philips Amilight system that has been an option with some of their TVs over the years. It puts RGB LEDs on the back of the frame, pointed at the wall. They are tuned to the edge colors of the display, linking the color of the ambient light in the room to the colors on the screen. We’ve seen a ton of clones over the years, just search our blog for “Ambilight”. Like the others, this iteration depends on you playing back video from a computer. [Yonsje] is using an Arduino with his own shield to connect to the HTPC. NPN transistors in the shield drive the RGB LEDs. The real cost savings is in his lighting source. A Deal Extreme RGB LED bar costs just $11.30 including shipping, and can be cut into six different segments for even spacing around your television. Check it out in the clip after the break. [charliex] from Null Space Labs wrote in to share a project that he and the rest of the gang have been working on over the last few weeks. 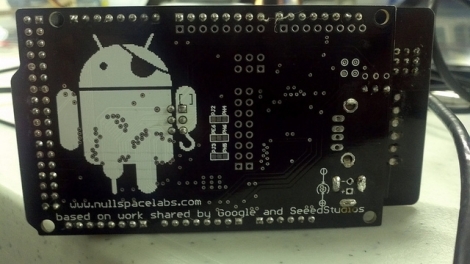 The team has been remixing and building clones of the Google ADK demo board we saw earlier this year, in hopes of getting a huge batch prepped before Defcon 19. Their version makes subtle changes to the original, such as extra header rows for Mega AVRs, higher quality RGB LEDs, and a nifty pirate-Android logo. They also added the ability for the board to send and receive IR signals allowing it to be used as a TV-B-Gone, as well as in more fruitful pursuits. 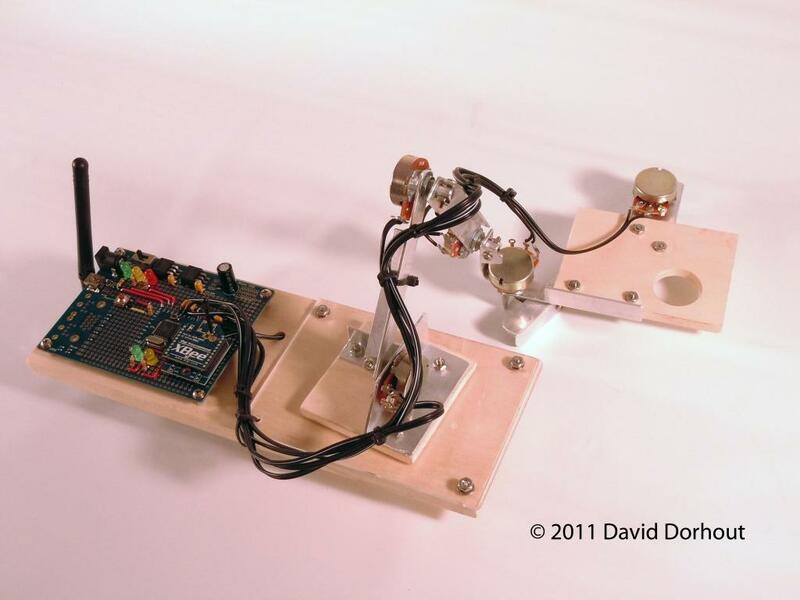 The Arduino board used with the ADK has only undergone minor revisions, most of which were layout related. [charliex] hasn’t mentioned a price for their improved ADK boards, but we’re guessing they will be substantially cheaper than the official Google version. In the meantime, check out their site for a boatload of pictures and videos of these boards undergoing various stages of construction. 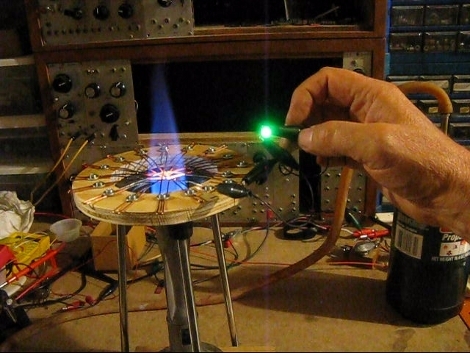 Reader [Andre] sent in a link which tells us all about this “cool” Copper Oxide Thermoelectric Generator. All you need is a bit of solid copper wire and a gas torch. Burn the wire so it gets a nice coating of oxide. From there, it is a matter of making the 2 sections of burned wire cross at a point and heat up only one of the wires. Whichever is hotter forms a cathode and whichever one is cooler is the anode. If you had the pleasure of attending last year’s DEFCON conference, you are no doubt familiar with [Mike Tassey] and [Richard Perkins]. 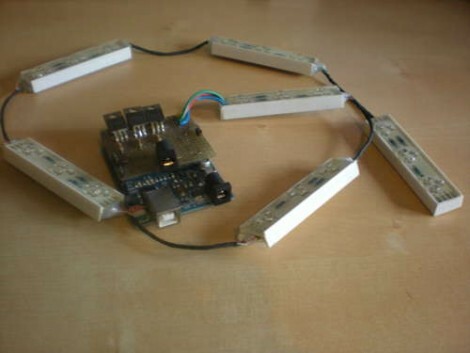 There, the pair showed off a work in progress DIY aerial drone named WASP. 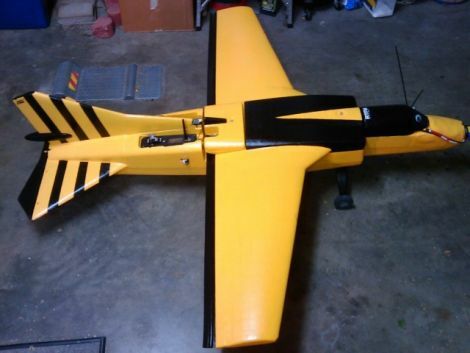 Short for Wireless Aerial Surveillance Platform, WASP was impressive when we brought it to your attention last year, but the duo has spent some time completing their project, adding a few extra features in the process. The drone still packs the same pico-ITX computer which now runs Backtrack5, and utilizes a 340 million word dictionary for cracking WiFi networks (pardon the pun) on the fly. While updated pen testing tools are well and good, the most impressive update is that the drone can now act as a standalone GSM tower. This allows the pair to trick nearby phones into routing calls through WASP before being relayed to their carrier’s network. Once WASP is launched, the plane flies autonomously along a preset route, sniffing, hacking, cracking and gathering data until [Tassey and Perkins] summon it back to Earth. The drone is as impressive as it is scary, and we can’t wait to hear what the pair has to say about it this time around. Continue reading to watch a video demo of WASP taking to the skies and doing its thing.